"Now's not the time for purl 2. That comes later." A Market Rasen woman’s online crochet business is booming after going viral on the internet and sparking worldwide interest. 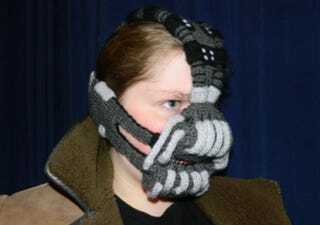 Rose Pope, an ex-Caistor Grammar School pupil, turned her fondness for crochet into a business and her most recent creation, a crochet version of a Batman villain’s head wear, currently has a year-long waiting list. Oh, hey—seems you can make a picture a link if you edit the HTML, but there is no visual indicator. For my next trick, maybe I'll try styling the <a> tag.